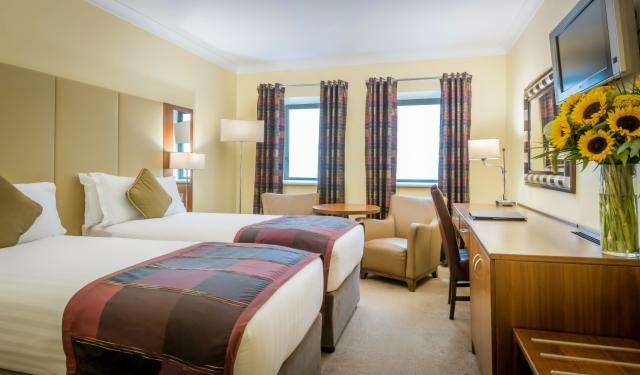 The historic 4 Star Royal Marine Hotel in Dun Laoghaire features 228 luxury bedrooms that have been updated with both contemporary and traditional furnishings. With our magnificent views across Dublin Bay, enjoy the relaxed facilities and service that the hotel has to offer. 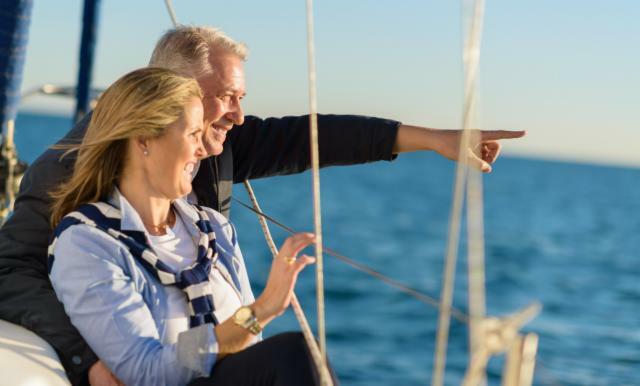 These include formal and more relaxed dining options and health and wellness experiences that will ensure that you will enjoy your stay with us. For the business traveller or event organiser, we also have a large range of conference, meeting and event rooms that are suitable for all needs. Staying at the Royal Marine Hotel in Dun Laoghaire, South Dublin is a comfortable and luxurious experience. We invite you to enjoy the wide range of available room types and the high standard of décor and fittings used throughout the hotel's accommodation. The hotel features 228 luxury bedrooms including : 2 Luxurious Presidential Suites, 13 Junior Suites, Executives Bedrooms, Classic Sea View Bedrooms, Classic Bedrooms, Family Suites. All of our rooms feature Laptop size safes, LCD TV, Fridge, Tea/ Coffee Making Facilities, Iron & Ironing Board, Trouser Press, Individual Free & Secure WIFI connection & individually controlled Air-conditioning. 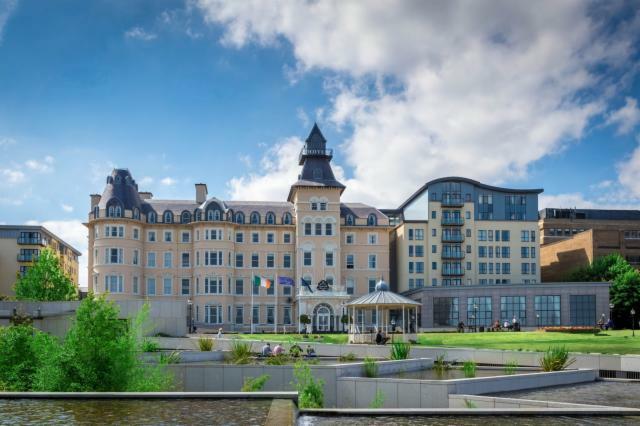 Whether you want to enjoy Afternoon Tea overlooking Dun Laoghaire Pier, savor a Pre-Theatre Supper or host an event, the warm friendly atmosphere of the 4 Star Royal Marine Hotel offers something for everyone. Our head Chef Karl Smith and his team have created a number of different dining experiences for you to choose from. These include the traditional styled Dun Restaurant which offers a formal yet relaxed dining experience, Hardy’s Bar & Bistro offers a vibrant atmosphere and the best in both traditional and contemporary bar menu dishes. Our historic Bay Lounge offers the backdrop of views across Dublin Bay whilst our popular Atrium Lounge offers a bright and vibrant space to meet and catch up with friends for meals and snacks throughout the day. The Carlisle Suite Centre can cater for up to 400 people banqueting style and is a stunning venue for hosting any event including weddings, conferences, exhibitions, private events, & dinners. The hotel is considered one of the most romantic venues in Dublin with a marvelous sense of history and character found in all nooks and crannies. The hotel boasts many of the traditional features of a 19th century building including high ceilings, sophisticated detail on the cornicing and the magnificent Victorian staircase. The sansanaSPA features Nine Treatment Rooms, Unique Waterbed Relaxation, 'Float' and 'Relax' Rooms, Rock Sauna, Steam Room, Aroma Room, Mud Room, Experience Showers, Manicure & Pedicure Suite, Dry Flotation, Hydrotherapy, Thermal Suites, Lounge Area, Spray Tanning and much more to meet your requirements. 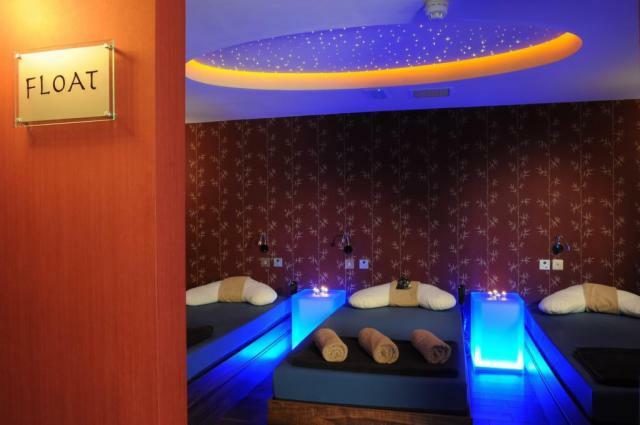 When clients experience a treatment, they also receive Complimentary use of the Thermal Suites and the facilities in the adjacent The Pier Health Club, also located in the Royal Marine Hotel. The Health Club features State-of-the-Art Cardio & Resistance Equipment, Luxury 18 Metre Pool, Steam Room, Sauna & Hydro Pool. With views overlooking Dun Laoghaire Harbour and Dublin bay, the Royal Marine is an ideal venue to host your big day. The DART train line and superb road links lead guests easily to and from Dublin City Centre and the picturesque South Dublin of villages of Dalkey & Blackrock, as well Wicklow’s many attractions including Powerscourt Waterfall, Glendalough and the Blessington Lakes.